Food Costs > How Much Does an Energy Drink Cost? How Much Does an Energy Drink Cost? An energy drink, as the name implies, is a drink that is designed to give you a boost of energy right when you need it most. This fortified beverage, often added with dietary supplements, can differ from most drinks due to the higher levels of caffeine and sugar. Whether you use energy drinks for sports or simply to stay alert at the workplace, you should feel the effects of the formula within a few minutes of drinking it. Energy drinks usually contain caffeine, sugar, vitamins, amino acids and herbal stimulants and also come in many different flavors and special formulas. As most energy drinks are marketed to people on the go, energy drinks have always been associated with power, strength, speed and even sexuality. Common energy drink brands, such as Red Bull, Monster, Full Throttle and Rock Star Energy Drink, have been on the market for quite some time. How much do energy drinks cost? On average, the price of an energy drink really depends on the brand and the quantity you’re purchasing at once. Most drinks, when purchased individually, will cost about $1.50 to $3.50 per eight ounces. A 10 pack, again, depending on the factors, can bring the costs down to about $14 to $18 per pack. Refer to our table to see what the most popular brands can cost at a local retailer. Larger packs, commonly found at wholesale clubs, can have 24 to 36 or more cans, depending on the brand being sold. If purchasing quantities this large, the price per can be pretty close to $1 per can, regardless of which brand you’re looking at purchasing. The highest rated energy drinks on Amazon, for instance, retail for about $32 for a 12-pack of GURU to $20 for a 24-pack of Maddox energy. There’s very limited data showing caffeine-containing energy drinks improve alertness or physical endurance. Large amounts of caffeine can be dangerous as it can cause serious heart rhythms, improper blood flow and blood pressure issues. If you have any heart-related issues, talk with your doctor to make sure these drinks are suitable for your lifestyle. It’s important to know how much caffeine you can drink in a day. 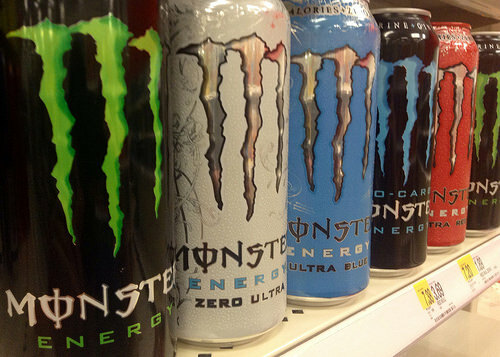 As of today, there are close to 200 brands of energy drinks, according to the National Institute of Health. All brands will differ in its ingredients; however, they will have a few things in common. For starters, most will have caffeine and a high amount of it for that matter, and the average drink, depending on the brand, can have 70 to more than 110 milligrams per eight-ounce serving. Aside from the high amounts of caffeine, these drinks may contain sugar, sweeteners, herbal extracts, amino acid and/or taurine, making them much different than a soda or sports drink. Many energy drinks, if you glance at the ingredient list, will list vitamins as its main ingredients; however, it’s important to pay close attention to the stimulants, as FamilyDoctor.org notes such as guarana, taurine, ginseng, synephrine, l-carnitine, yerba mate, gingko and st. john’s wort. Buying in bulk will always be 20 to 30 percent cheaper than purchasing the cans individually. Purchasing in bulk can either be done online or at local wholesale clubs such as Costco or Sam’s Club. If you have a favorite brand, see if they are currently offering any coupons online or via their social media channels. I drank a monster and it didnt even keep me up. It just made me fall asleep.